6mm bullet round stainless steel rings. 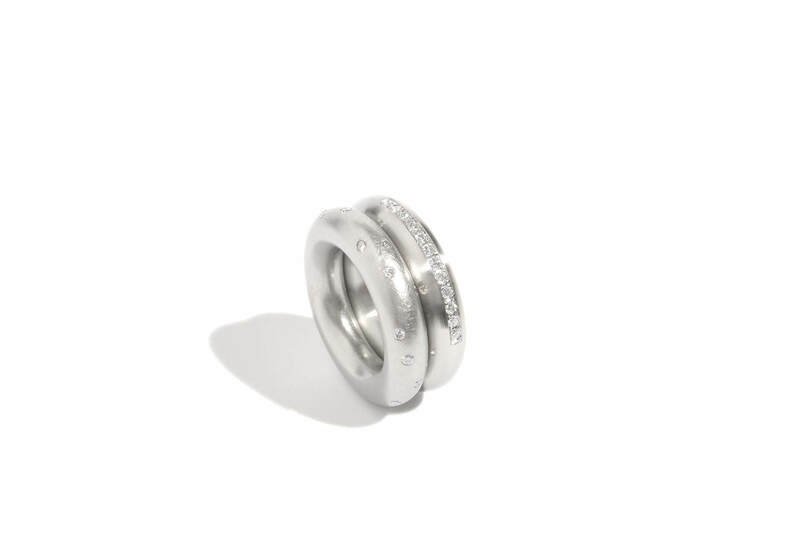 The left ring features 25x 0.015crt TW-VS brilliant cut white diamonds with a scratched matt finish. The right ring features 12x 0.02crt TW-VS brilliant cut white diamonds with a brushed finish.